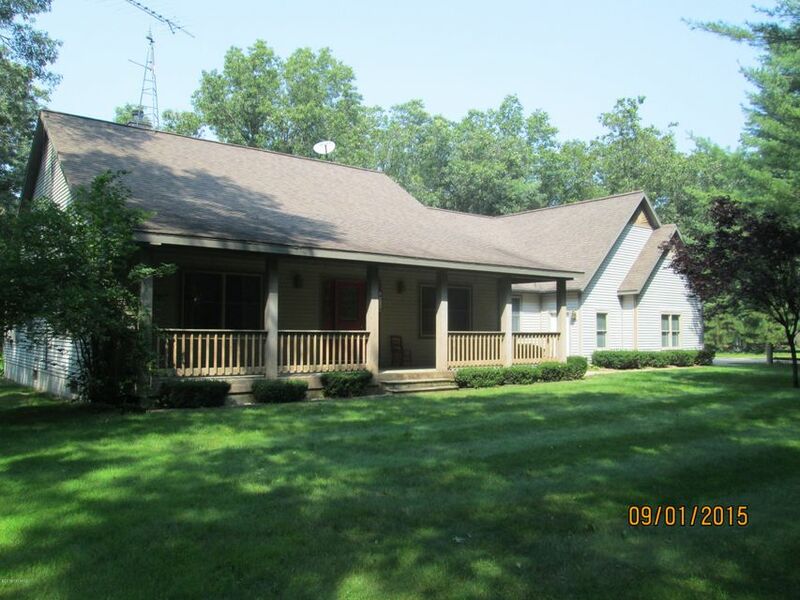 This beautiful, well-built 3 bedroom, 2.5 bath home sits privately on 10 wooded acres. Home features a large open kitchen with lots of cupboards and counter space as well as a pantry. Well-kept hardwood floors open up to a large dining room. Spacious master suite with french doors opening to a private deck off the back where you can sit and enjoy nature. Master bath features a soaking tub with a separate shower and large walk-in closet. Living room shows off a gorgeous stone wood-burning fireplace. Lots of fun possibilities outside. The 2-stall garage/barn out back has a flat screen TV plus a wood burner to keep you warm on those cold winter days. The list goes on! This one is a must see!